She has excellent sea handling and consists of 4 en-suite cabins (Master, VIP and 2 twin cabins) with a crew cabin for 2. 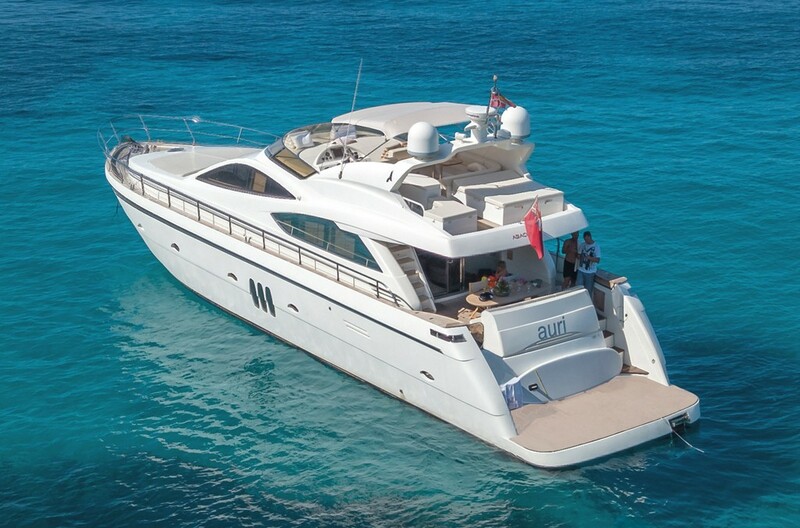 This boat has a large dining table for 8 guests and a fully equipped kitchen. On the flybridge there is a large sunbathing area, fridge, ice maker and bar. There is also sunbathing on the bow. There is a dining table on the aft deck, A/C throughout the boat, an entertainment system and laundry room. Equipped with a rib tender Yamaha 40hp with outboard engine.